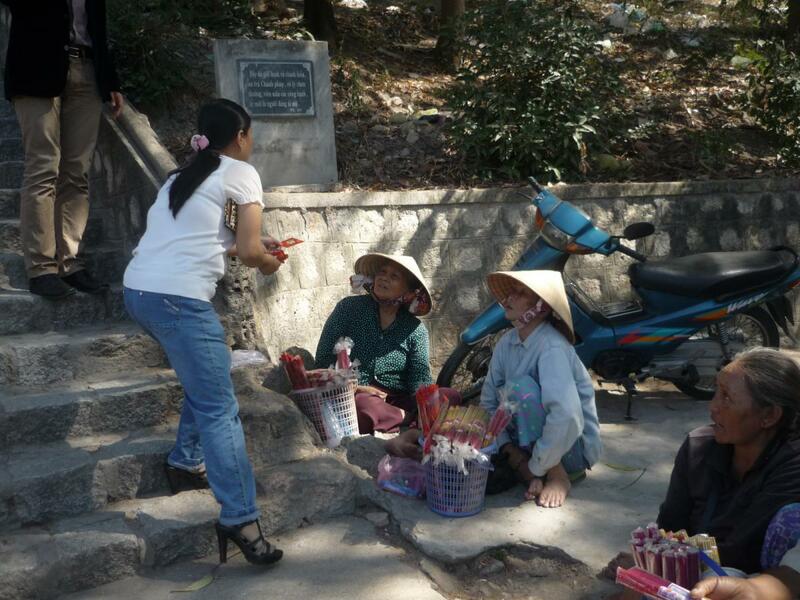 On February 12, 2013 we celebrated the Tet new year with visits to the Kim Son Charity School and the Long Son Pagoda. This continues the amazing donation made by Lucette Dillon of New Zealand. 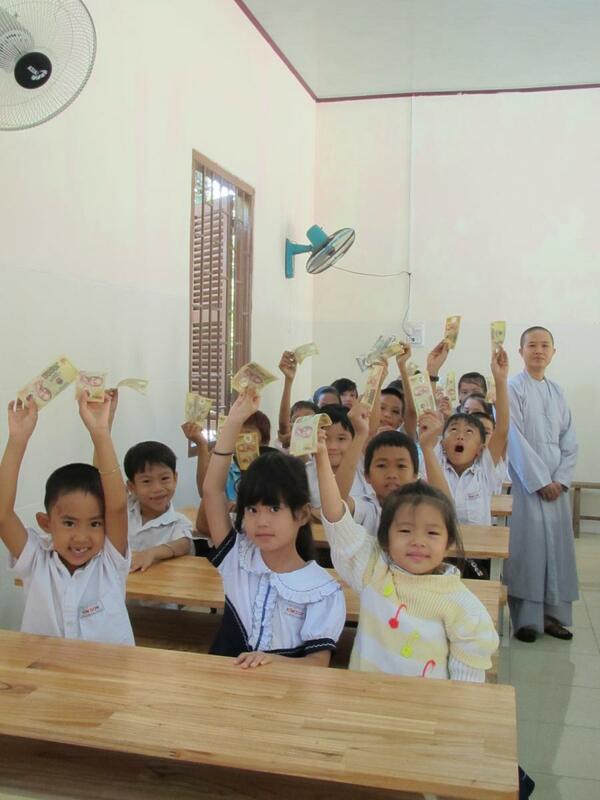 Lucette had visited Nha Trang last year and made heartfelt visits to area orphanages. 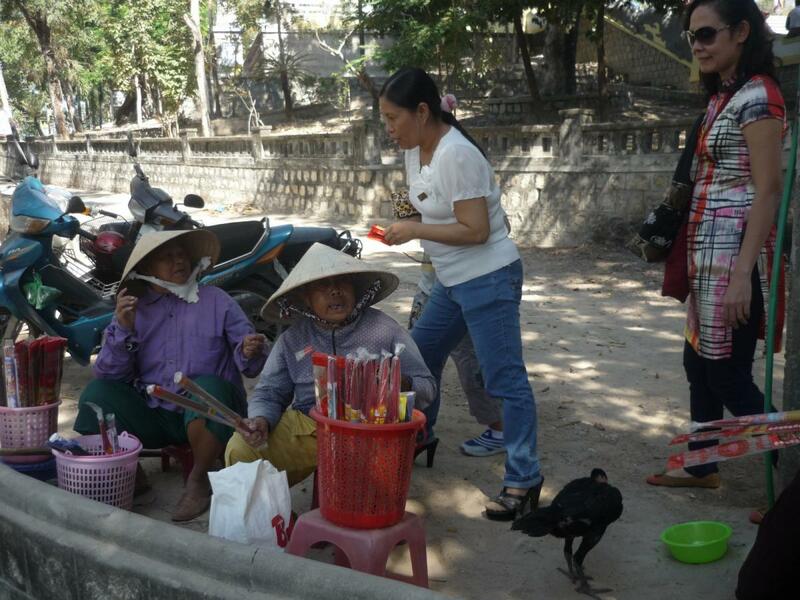 Upon her return to New Zealand, she has endeavored to raise money through her Quan Am Foundation and continue helping those less fortunate in Vietnam. First, Ngoc went to Nha Trang’s largest pagoda, Long Son. 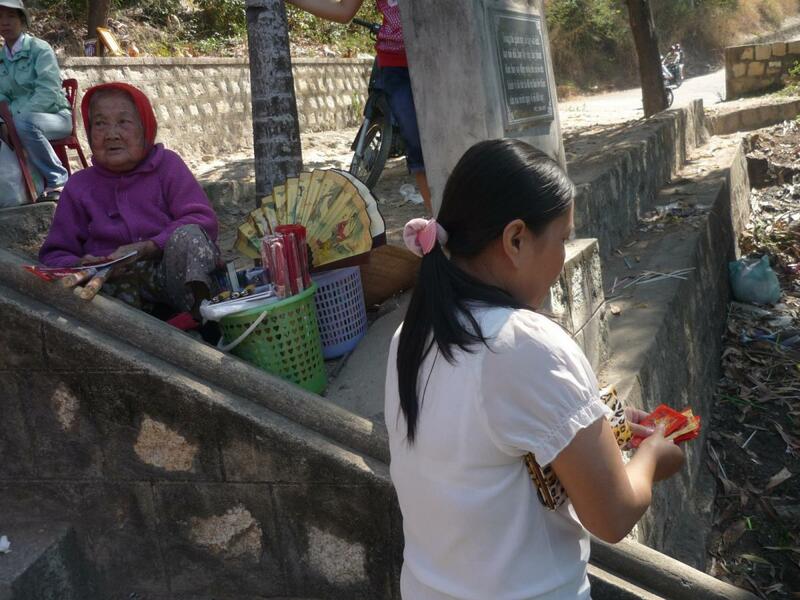 Many poor elderly people make their living sitting outside all day along the walkways of the pagoda selling incense and snacks to passerby. They live in ramshackle huts on the hillside, and barely get by with what they can sell during the day. 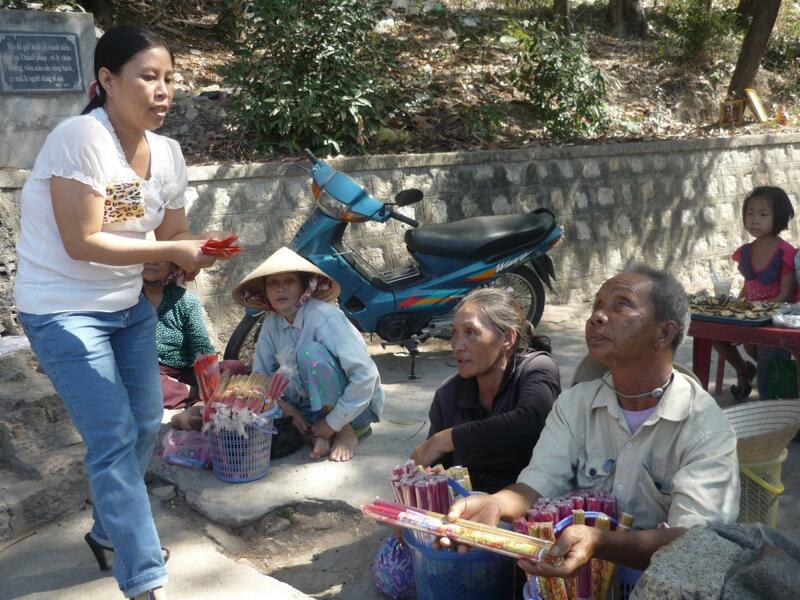 Ngoc handed out lucky money envelopes to many of these poor individuals, wishing them a happy New Year. It was a gesture of kindness that these older people don’t often see. Next, we came to the Kim Son Charity School, north of Nha Trang. Like the Loc Tho Charity School, Kim Son is run by Buddhist nuns who provide free primary schooling to poor children in their community. 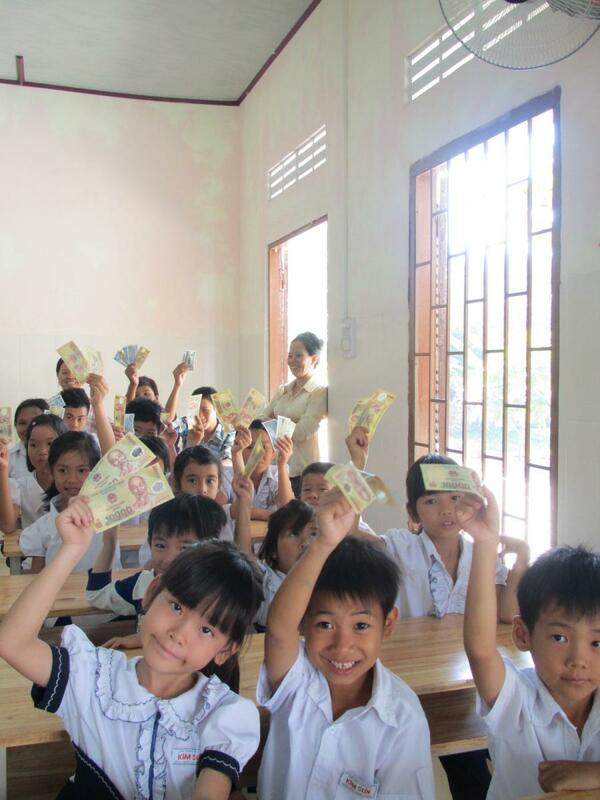 The first days of Tet are important in Vietnam, and for children it means receiving gifts of lucky money in tiny red envelopes. Many of these poor youngsters don’t often get much on Tet, but Lucette made sure the little ones at Kim Son received a happy surprise. 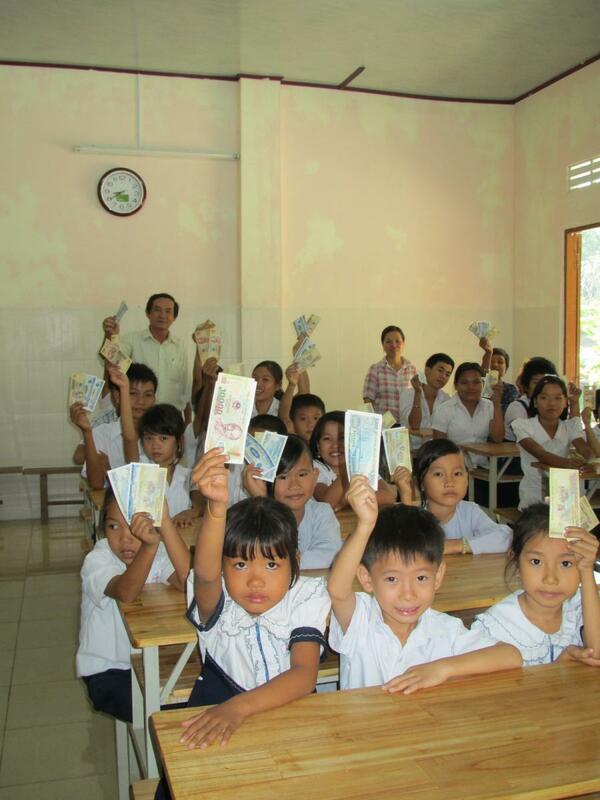 When our team arrived, they handed out lucky money to all of the children. They were overjoyed at the kindness! Thank you Lucette for your never ending generosity!